Another perfect two-coater, super-strong holographic from LSL. I love this one so much, that is why I saved it for last (as I mentioned before, I will not be posting on Saturdays for a while), and this is excellent to conclude Purple Holo Week. 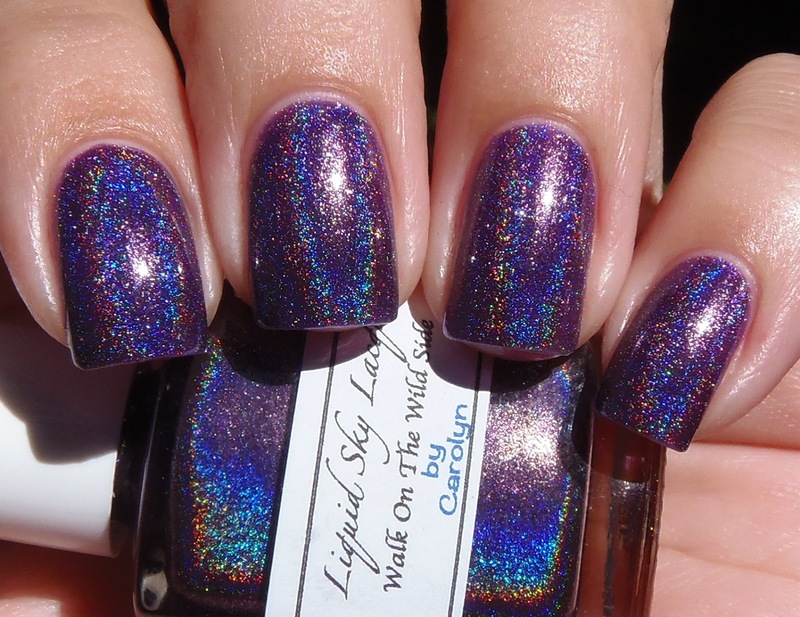 Walk On The Wild Side is simply stunning. Unfortunately, it seems it sold out at their website, this is why I highly recommend that you follow them on Facebook if you want to learn about restock dates, which in my experience have been mostly Saturdays. 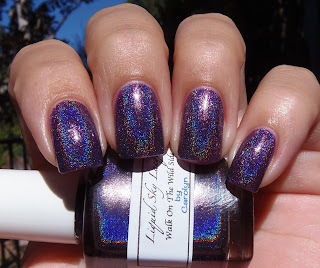 This violet holographic fulfilled my expectations and more, and it has that same quality that Sugared Berries had, what you see is what you get. Wow!!! 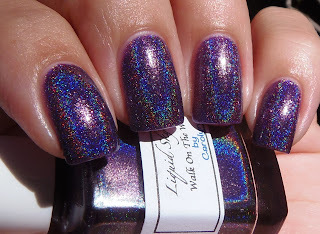 This is a pretty purple holo. 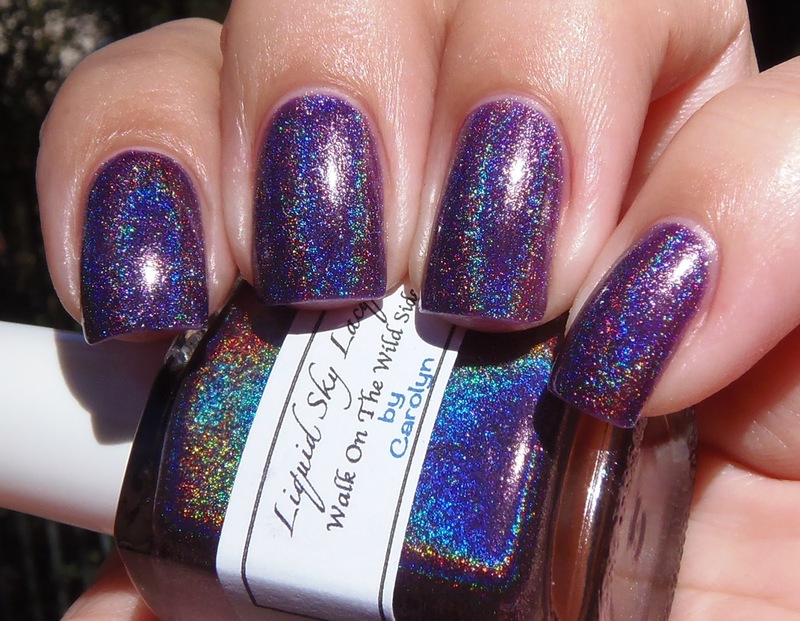 I love the color and the holo effect of it. A must try indeed. I'll def check on this.